(a) Where did accident occur? (b) Who did it victimize whet kind of persons were they? (d) What was your duty performed? 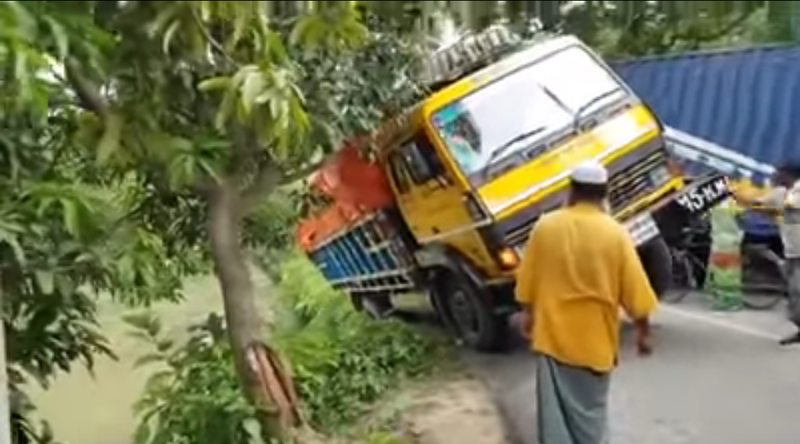 (e) What is your suggestion to prevent this kind of accident? Last Monday a tragic road Accident occurred before my eyes. The accident took place near Farmgate. It was 4pm when I was on my way home from school. I was on a rickshaw and came near Farmgant. I saw a bus coming with full speed from northern directing. A scooter was coming from the same direction. Suddenly the bus pushed the scooter from behind. Consequently, the scooter turned upside down. In the scooter there were four passengers including a child and a woman. The woman was run over by the bus and died on the spot. I along with other ones took the wounded to the nearby hospital. They were admitted to the emergency unit of the hospital. I was greatly shocked at the accident. I thing this kind of accident can be prevented by taking some effective steps. Traffic rules should be maintained strictly. Traffic police should be well trained. An above all drivers should be very careful while driving. Mother: Why are you so late John? John: Oh! It is the horrible jam. John: There was an accident, mother. John: Near the HDFC building. Mother: My God! take care of the riding bike! Jonh: Sure, I always wear a helmet while I’m driving. Mother: You should first take see outside, listen outside then going your destination. John: I Know, mother, now bye!